Matt Inman — the Seattle-based comical wordsmith and the brains behind one of the most viral websites on the ’net, the Oatmeal — has a serious obsession with Sriracha Rooster Sauce, you know, that super spicy, flame-red hot sauce in the big bottle with the green lid. To further profess his profound love for the Thai-originated condiment, Inman has dedicated a few hilarious comics to Sriracha’s mouth-firestorm-creating goodness. 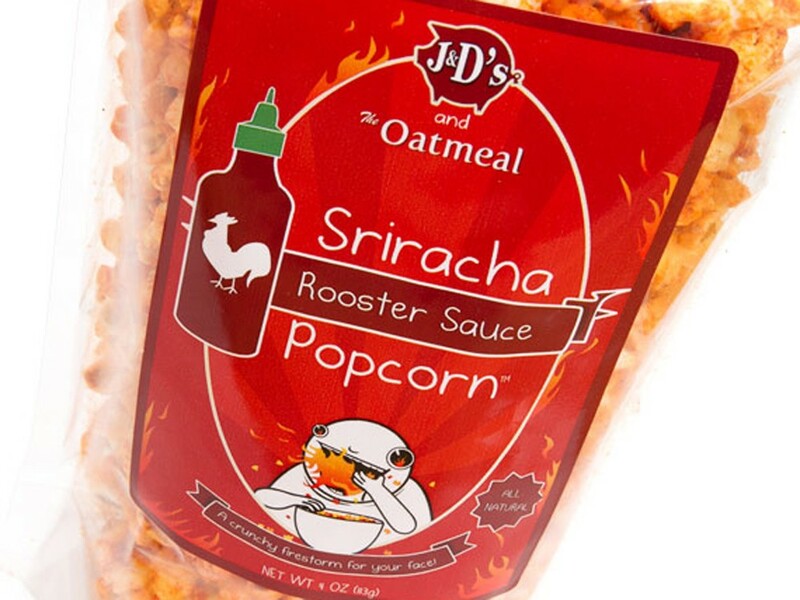 Recently the Oatmeal teamed up with Seattle’s J&D Foods (the ones who make just about anything bacon-flavored) to create some delicious Sriracha Rooster Sauce Popcorn. Even if you’re not a huge fan of really spicy things, this popcorn is really tasty and has a good kick that’s not too overpowering. The internet is a huge, endless abyss of stuff, which makes finding funny, viral things both really easy (when things blow up, they pop up everywhere) and hard at the same time (a couple months later when the craze has passed). How the hell do people even find these things in the first place? We’re not sure. Behold, though, one of the best online compendiums of all things weird, funny, stupid and awesome at IWasteSoMuchTime.com. The blog-style site sources the greatest and weirdest things out there into one place, making it a treasure trove of potentially and already viral photos, pages and videos. We just recommend checking it regularly so you don’t get sucked into the time-wasting black hole it can become.